Cindy was humble. To a fault. She was afraid to speak about her gifts, especially the ones that made her look different. She was afraid to stick out in the crowd. She’d felt different her whole life. It’s a good thing in certain areas of your life. Sure you don’t want to brag or be arrogant. But it’s not so good in others especially if you’re an intuitive, creative, empath, or spiritual. You know, the areas which aren’t so mainstream. Its important — essential — for women to be proud. And yes, even loud about your gifts. Otherwise who will know about them? Who will receive your unique specialness? So only a handful of close friends and family knew about Cindy’s psychic abilities even though, inside, she felt how profound, powerful, and beautiful they were. I can relate to Cindy. I grew up in India where, as a woman, I was conditioned not to take the limelight, take up space, or glow with pride about my accomplishments. Turns out it’s not just Indian women. I see women from all countries struggle with the same issue. They don’t talk about their gifts. What about you? 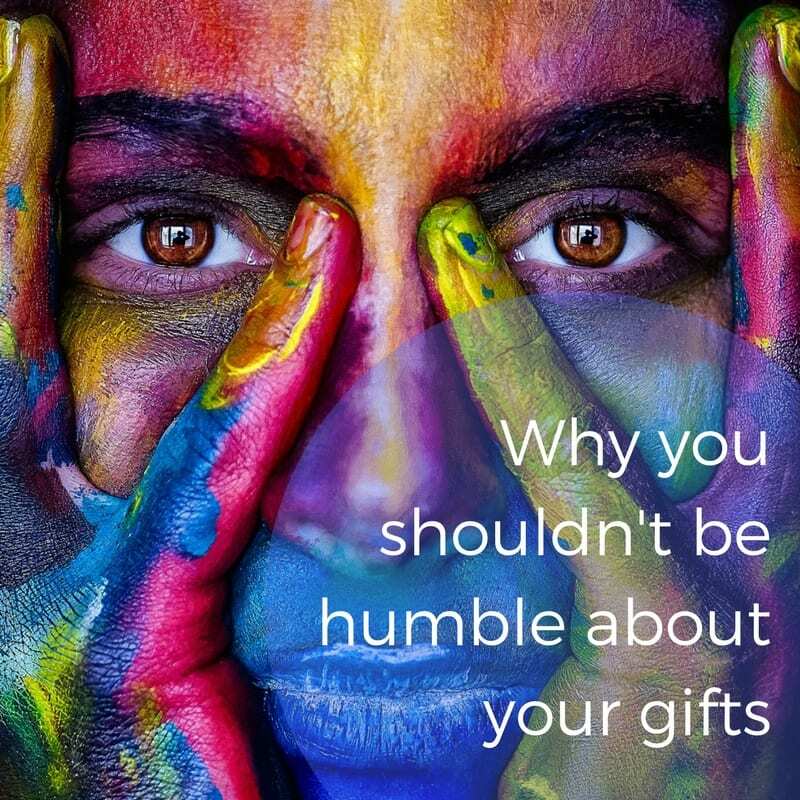 Are you too humble? What you lose out on when you’re too humble. ♥ You don’t get to be seen, heard, and known for who you are. ♥ You don’t get to take up space . ♥ You don’t get to feel the wonderful satisfaction of offering and sharing who you are and what’s coming through you to others. ♥ You don’t get to be all of you. Out loud. Out proud. The world loses out when you’re too humble. ♥ And… in my work with people I’ve seen so many heal from depression, anxiety, cancer, and other mental and physical health issues when they begin to express and step into their gifts. Your Soul Purpose is essential for your whole health. So what do you say? Take a chance. Acknowledge, own, and claim how kind, generous, compassionate, creative, talented, and _______ you are. In fact, get a piece of paper and write 10 wonderful things about you and 10 of your gifts. You could even try this as a fun thing to do with a friend.